NECKLACE - SARAH COVENTRY. 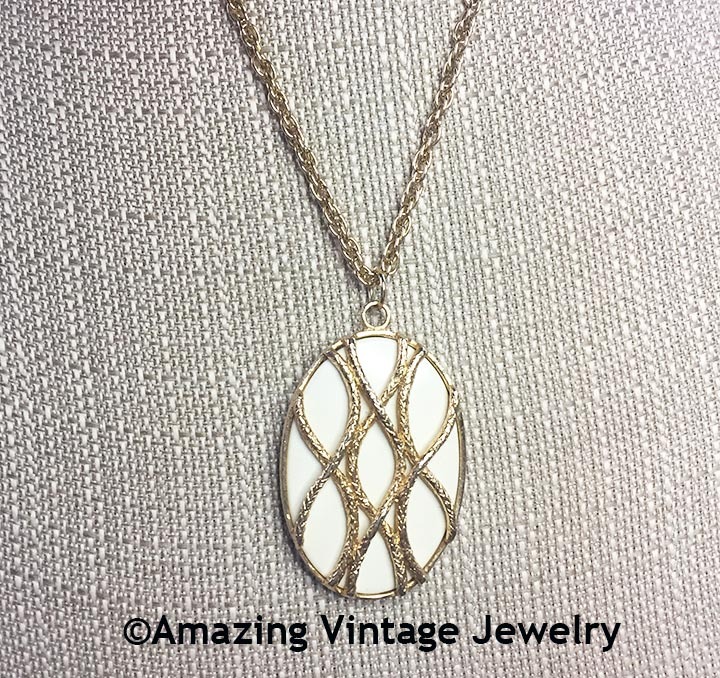 "GOLDEN ROPE" IN CREAM FROM 1976. 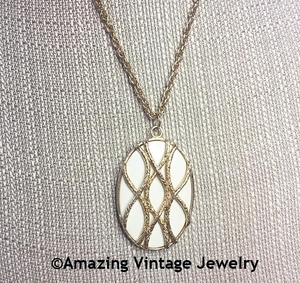 LARGE GOLDTONE PENDANT WITH CREAM INSET IN A 70'S FEEL THAT IS PERFECT TO WEAR WITH TODAY'S FASHIONS. PENDANT IS 2 1/4" LONG, 1 1/2" ACROSS. CHAIN IS 24" LONG. VERY GOOD CONDITION.